(1) M-65 (Atomic Annie) cannon. (US Army photo) Range: 30 (35?) miles. Weight 47 tons without the two push/pole tractors. Shell diameter: 280 mm (11 inches), weight: up to 900 lbs., length: 4-1/2 ft.
(8) Paris on a three-day pass. I saw all of the usual sights and was truly amazed. (10) .45 cal. sub-machine gun nicknamed the Grease Gun. 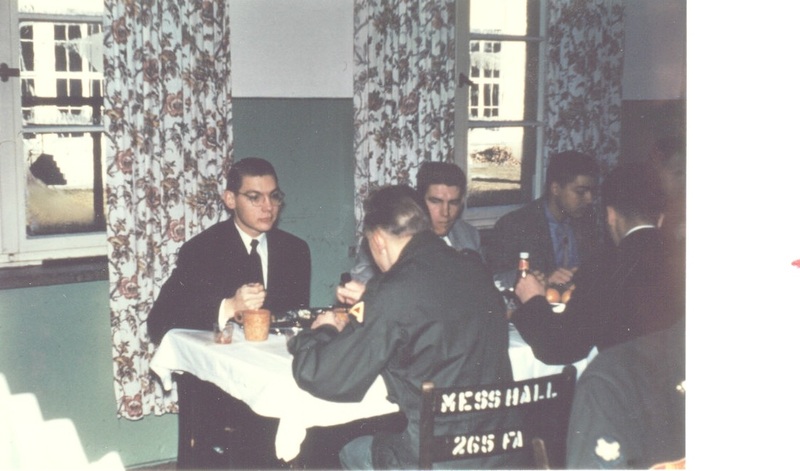 (12) I began my European service in Baumholder, Germany on 11-16-55. I served there for one year, six months and twelve days. (14) .50 cal. machine gun at Camp Chaffee, Arkansas (renamed Ft. Chaffee) . I never fired the gun. (16) I returned to the US on THIS troop ship USNS Henry Gibbins (AT-AP-183). The 4,163 mile voyage, beginning in mid-May, 1957, took 17 days at 10 mph from Bremerhaven, Germany to NY. My European military service was with the 7th Army, 42nd Artillery Group, Battery B of the 256th Field Artillery Battalion. I was stationed there from 1955 to 1957 in Baumholder, Germany. Our cannon was the 280 mm cannon (photos 1 & 13). It was the only one at that time capable of firing nuclear shells 30 miles. Its nickname was "Atomic Annie." More text being written off line. (2) I was drafted on June 15, 1955 and discharged on June 4, 1957. (4) Sunday off with a good German beer. (6) I was a supply clerk. I got the job because I could type. Supply school lasted two weeks. (7) I was first in line for 1956 Thanksgiving dinner. Because they had stacked up several trays ahead of time my food was cold. (11 Barbara died of alzheimers August 10, 2012 at age 77.